After its operations in the Cotentin and around Carentan, the 101st was withdrawn from the lines in late June and sailed back to England on LSTs in July. After several false alerts, they invaded by air again into the Netherlands on September 17, 1944, part of the airborne element of Operation 'Market Garden'. The mission was to hold open Hell's Highway so that land forces could advance safely to Arnhem. Operation 'Market Garden' is a strongly debated subject among WW2 historians: was it a brave attempt to end the war early that foundered for being a bridge too far, or was it, rather, an ill-conceived waste of resources that should have been used on another front? With hindsight, there's no doubt that the operation was a daring-if not risky-attempt to attack deep into enemy territory proposed by a general often disparaged for being too conservative. But at the beginning of September, it seemed to the Allied commanders that the enemy was disorganized; it had lost many men, huge numbers of vehicles, and had retreated helter-skelter through France and Belgium. In reality, the Germans had already started brilliant fire brigade reorganization and would soon have an effective defence throughout the Netherlands. The 101st parachuted right into the middle of enemy territory and north of Eindhoven. They met little resistance to begin with and captured most of their initial objectives by the end of 17 September. But the Germans managed to demolish the division's primary objective, a bridge over the Wilhelmina Canal at Son, forcing the 101st to attempt to capture a similar bridge a few kilometers away at best. They found the approach blocked but continued to hold territory enabling engineers to rebuild the demolished bridge. Other divisional units continued moving to the south and eventually reached the northern end of Eindhoven. In the following days they successfully defended the town of Veghel but failed to take the city of Helmond. 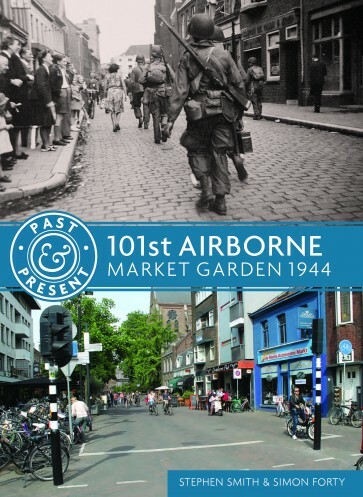 As Operation 'Market Garden' progressed, the rest of the 101st Airborne Division joined the 82nd Airborne Division on the island to the north of Nijmegen. The Screaming Eagles saw seventy-two days of fierce round-the-clock fighting against crack German troops and showed their fighting ability and tenacity. An interesting book with the historical story and numerous illustrations which will be an invaluable guide if you are thinking of visiting the battlefield today, and if you have been a fan of Band of Brothers of course.